i just made an account because i was on another fourm for a while but i never get responses to anything so got fedup. Welcome to Android Central! Do you use S Note? yes I do, but i don't understand what i've done lol. especially when i go to the individual snote saved files and they are like 4mbs each..
Any photos and such attached to any note? Why doesn't my Samsung Note 10.1 GT-N8000 screen mirroring work since Kitkat 4.4.2 upgrade? Gallery Sign-in Request for 2nd Gmail/Google Account - How to Stop Sign-in Requests? How do I undelete programs for the Samsung Note 3 to require USB debugging enabled? 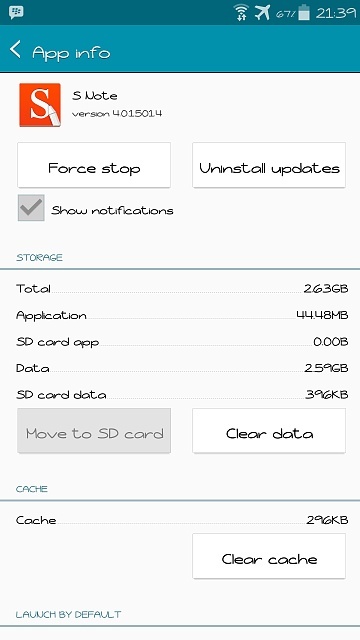 Can I get some help with transferring music to my Note 4 SD card?